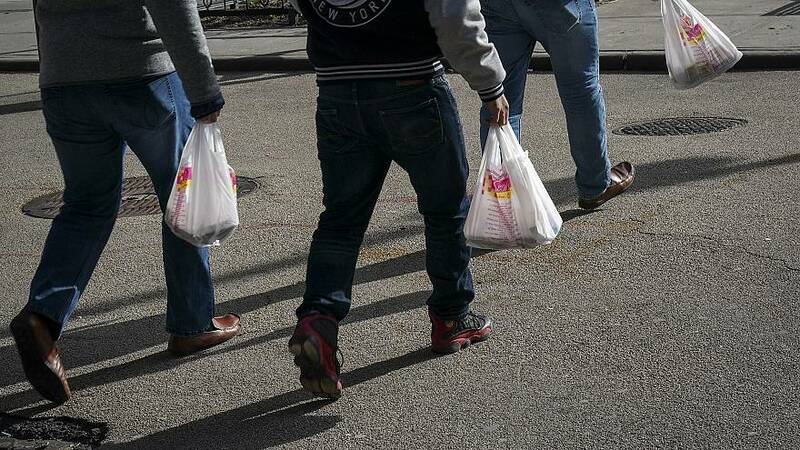 New York lawmakers are expected to pass a ban on single-use plastic bags as a part of the annual budget bill, making it the second US state to do so. "I think we're going to look back and wonder why this isn't something that was commonplace before now," said Kaminsky, chairman of the environmental conservation committee. "But I'm glad we're doing it now and leading the way in being one of the first states to do it." Cuomo's press release last year said New York residents use 23 billion plastic bags annually, contributing to land and water pollution. Reducing the number of single-use plastic bags in New York City alone would save an estimated $12.5 million in disposal costs, the governor's office claimed. Cuomo's office did not immediately respond to a request for comment from NBC News.